For over 20 years, Dr. Thomas Miller and his exceptional staff have cared for residents with kindness, dental expertise and comfort. Our first class Dental Facility includes modern technology to ensure our patients get the most from their dental care. We are professional and personal, and we treat our patients just like family. We serve patients from 3 to 103 and we’re proud to have such a wonderful extended family. To all our current patients, thank you for your patronage. To all of our potential patients, we welcome you and encourage you to come and see for yourself what makes our practice so special. 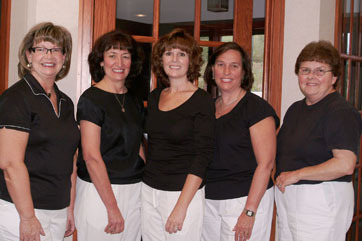 In fact, our staff is extremely dedicated – 4 of our staff members have been with us for 20+ years! Dr. Miller and his exceptional staff are kind, patient, and above all, dedicated to excellence.